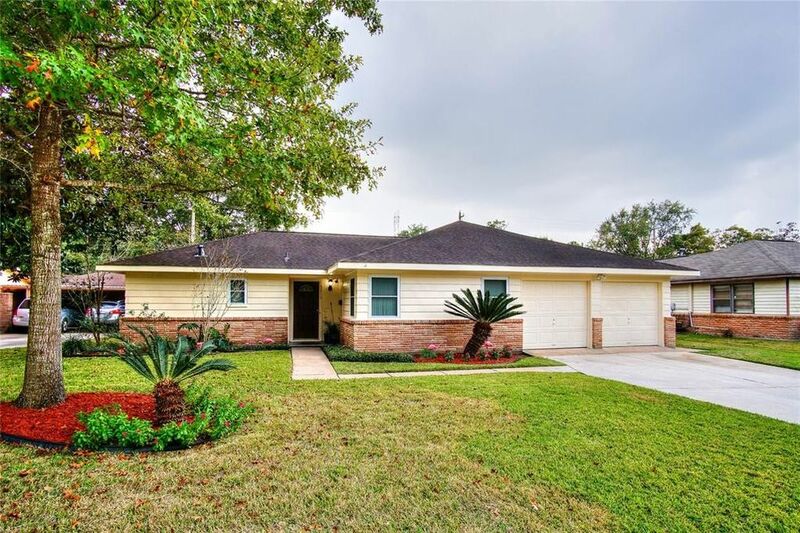 This lovely 3 bedroom 2 bath home is a fantastic find! Upon entering you are greeted by an elegant formal dining room with hardwood flooring and French doors leading into the family room, making it the perfect space for all your entertaining needs! Kick back after a long day in the large family room that features tile flooring and easy access to both the kitchen and a custom built sunroom fully enclosed by windows that shower the space in natural sunlight! Whipping up your favorite recipes is a real treat in the classic kitchen equipped with tile floors and backsplash, corian countertops and wood cabinets that provide ample storage space! In the evenings, withdraw to the spacious master suite complete with hardwood laminate flooring, an en suite bathroom, two closets and a sitting area that features a coffee bar with built-in cabinets and shelving! The home also has a huge backyard with an open patio, a built-in storage shed and plenty of green space for activities! Don't miss out! Directions: From S Sam Houston Pkwy W, left to merge on US-90 ALT E, Take the S Post Oak Rd exit, Continue onto S Main St, right on S Post Oak Rd, left on Tidewater Dr, right on Sunrose Ln, left onto Knotty Oaks Trail, Home will be on the right.